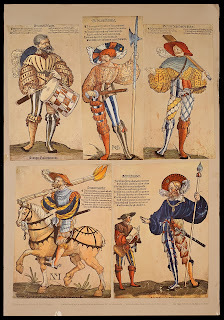 As with any historical period I believe that you really will get a much better feel and understanding for these troops if you do some research first.Take some time to look at contemporary paintings and woodcuts of the period to get a feel for the way the clothing was made along with the dyes available at the time. 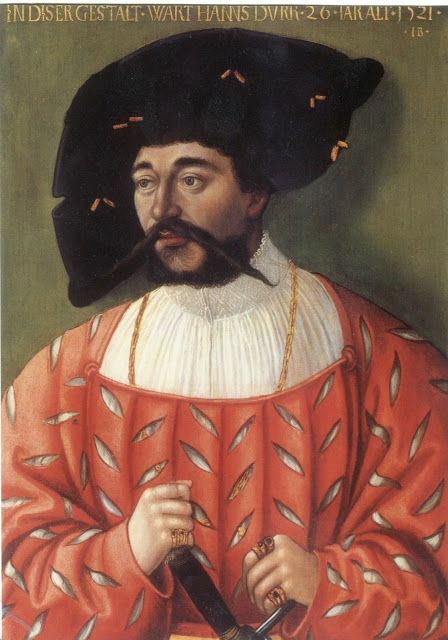 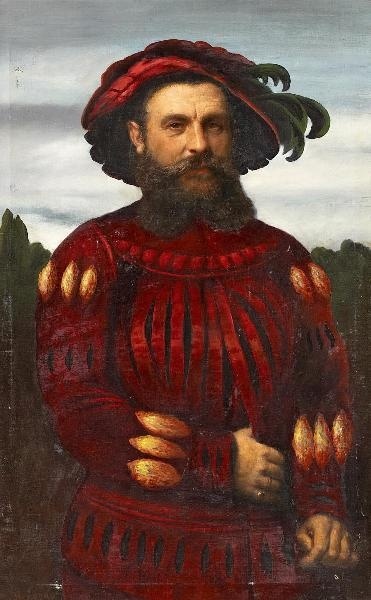 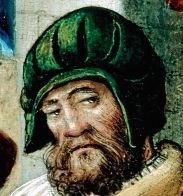 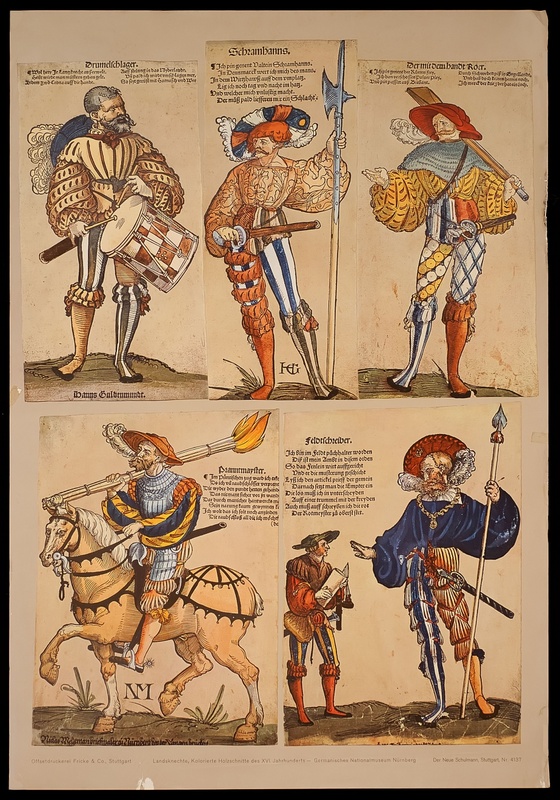 To begin, I thoroughly recommend you look up the coloured woodcuts from the workshops of Albrecht Altdorfer and Erhard Schon, the level of detail is astounding and it will give you simple starting points such as the colour and decoration of hats and feathers, typical colour combinations and most importantly an appreciation for the dyes and hues of colour available. 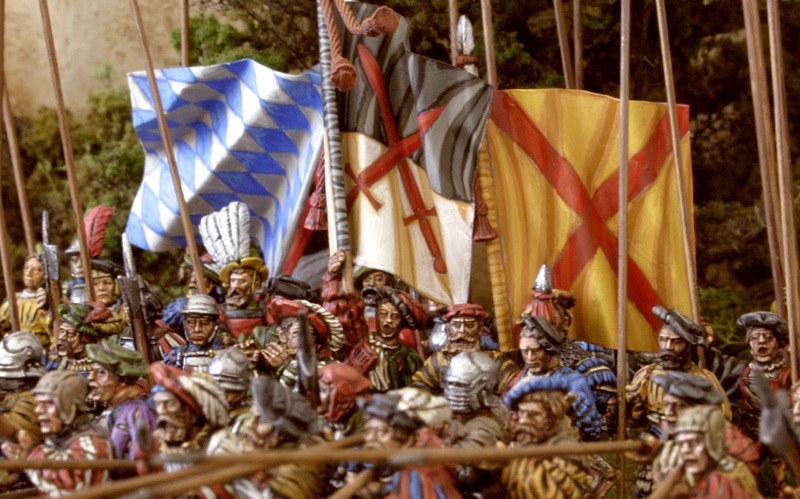 For example, Yellow tends to be a more earthy ochre, white a lived in canvas and deep reds with brown and orange variations. 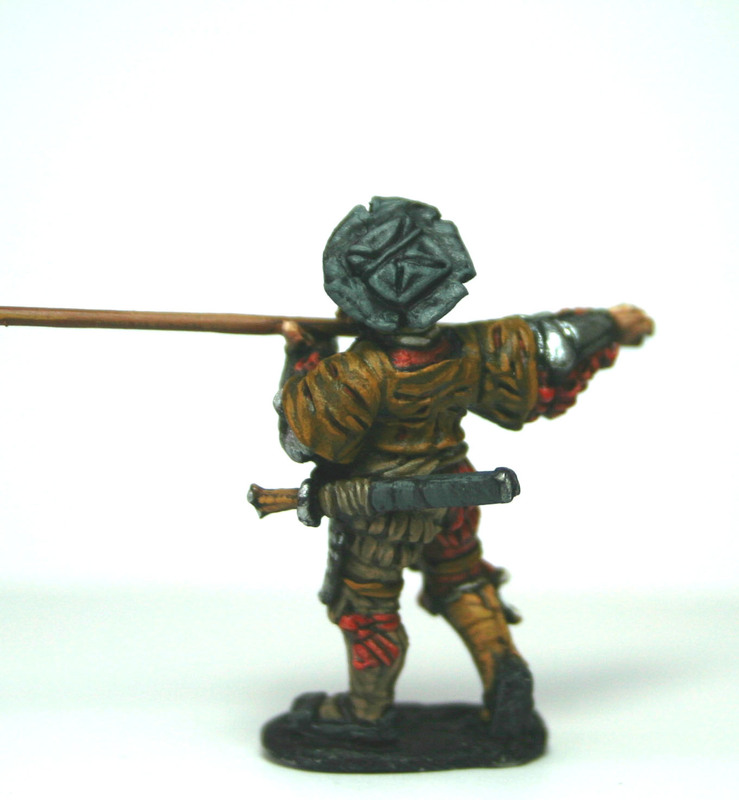 Orange 3 - Good to have, I use the shade colour as a final highlight to Scarlet. 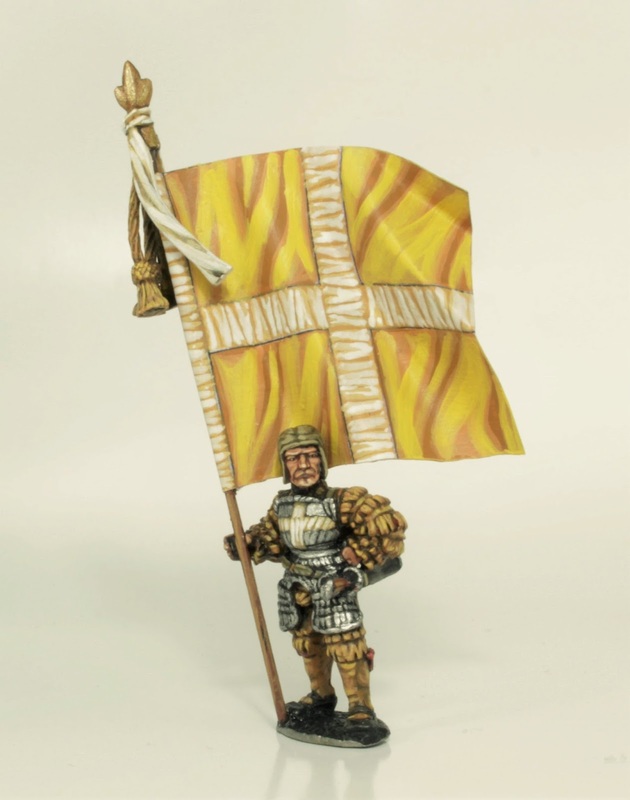 Yellow; I begin with a base of Deep Brown Leather C which is washed with a mix of Deep Brown leather A and Bay Brown A. I then re-touch in Deep Brown Leather C then Ochre 4A & 4B as a final highlight. 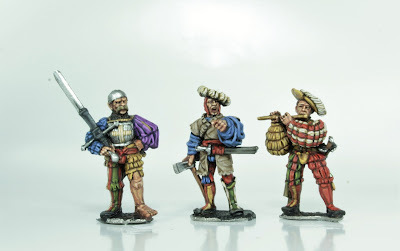 I find this much better than the standard yellow palettes, it's a lot more natural and consistent with contemporary paintings. 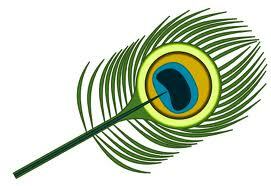 Canvas 8 - a good alternative to white and also looks good to represent the inner lining of clothing and also feathers. 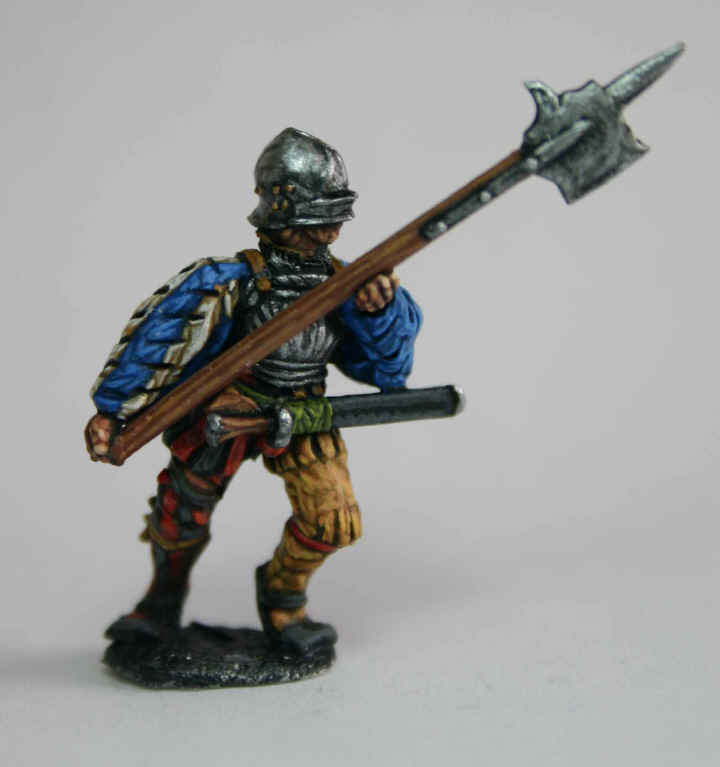 Royal Purple 19 - Rarely used but it beats mixing it. 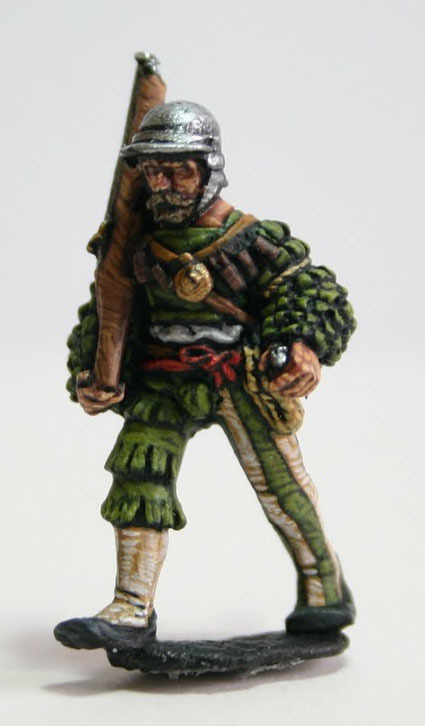 Phlegm Green 28 - as with ochre it's quite a muted green and is not as stark as others. 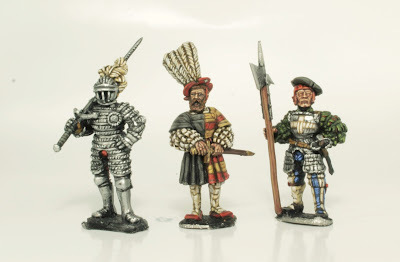 Black; I use the Granite 31 set with a black wash.
Scarlet 38 - A decent well rounded red. I also use this as part of a flesh wash.
Spearshaft 13 - pike / halberd shafts & katzbalger handles. 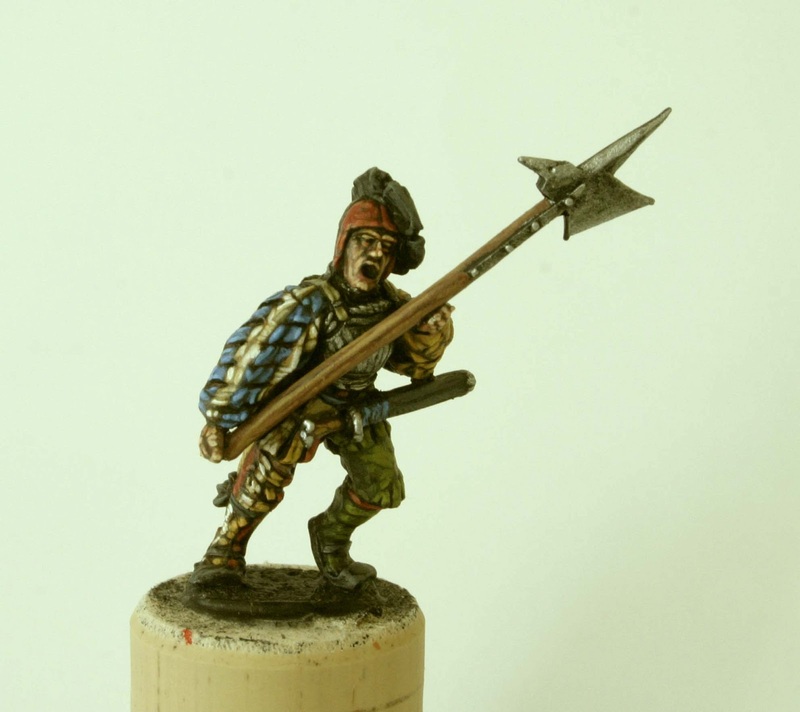 Bay Brown 42 - Used in flesh & shading washes. Deep Brown Leather 45 - Used for leather, also used as a shade wash for Ochre. Chestnut 53, Drab 12 & Tan 14 - Hair, shoes, coifs, caps, sword scabbards. 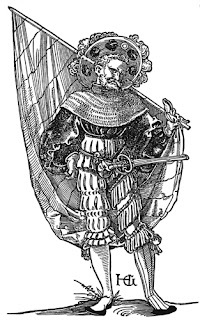 Gold 36 - Buckles, armour trim & sword decoration. 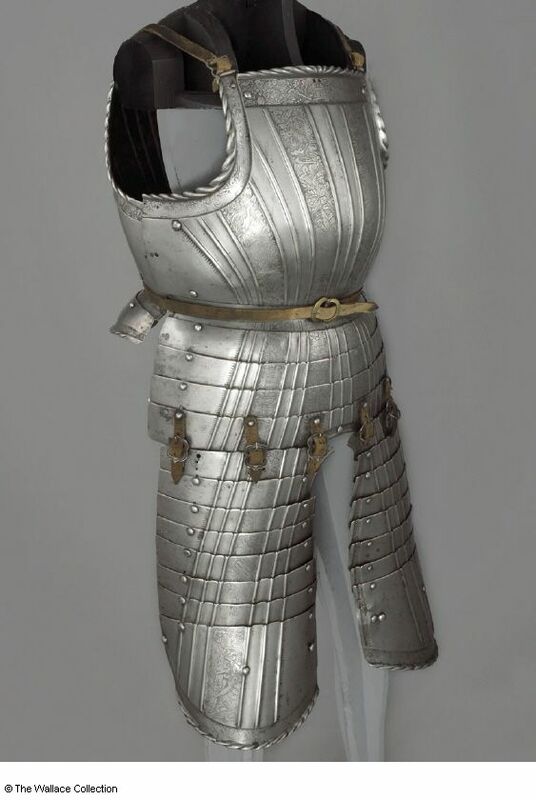 Armour 35 - armour plate, chainmail and trim. 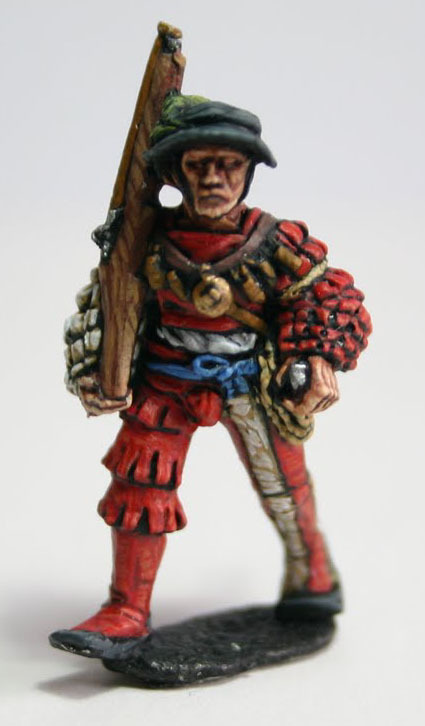 Note; These are a starting point as I use a wash over all of the shade colours then build it up from there. 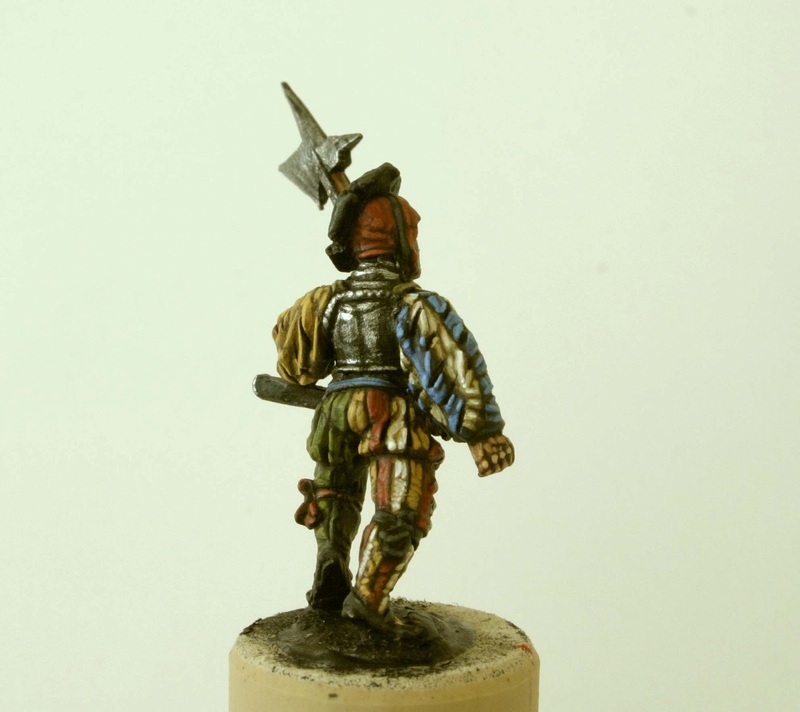 This gives the figures a lived-in look and achieves a more earthy tone which I favour. I detail this procedure in the step by step pages. 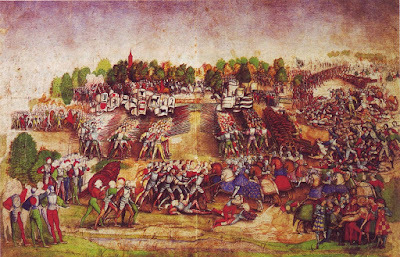 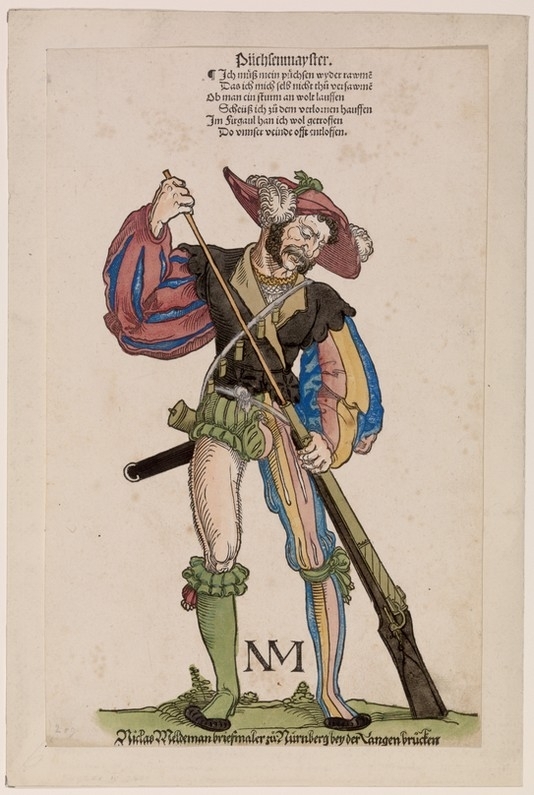 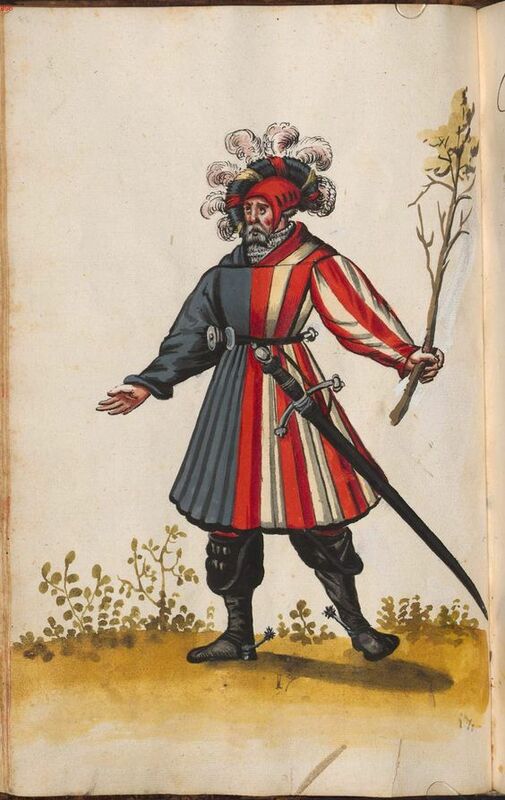 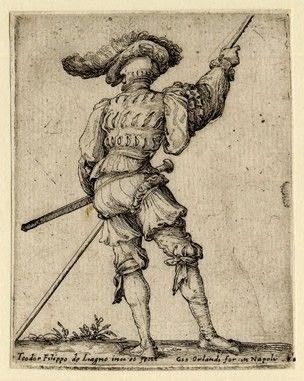 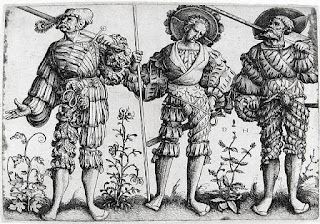 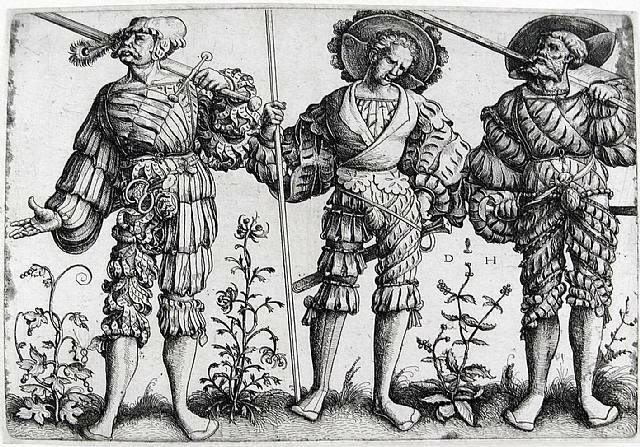 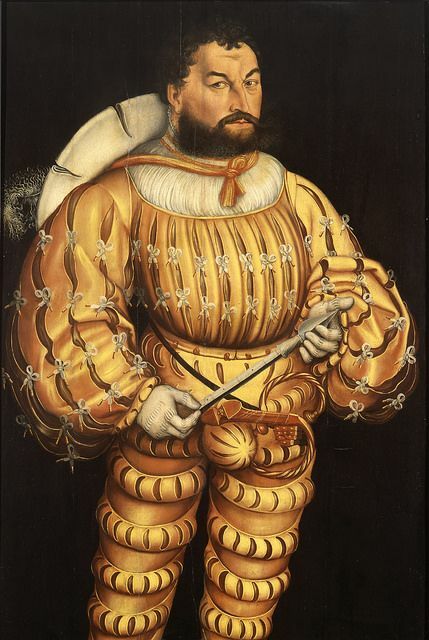 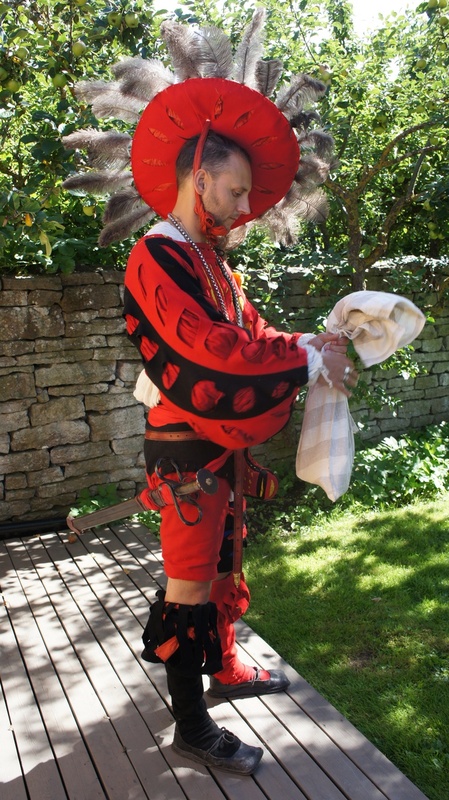 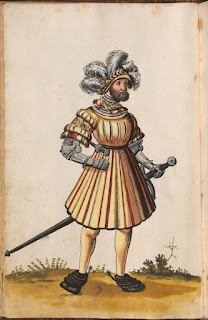 Perhaps the most important aspect one can gain from a study of contemporary images have is that complex stripes and a riot of slashing and colour are not a feature of every Landsknecht, the opposite tends to be true – the more elaborate a soldier’s dress appears the more likely they are to be paid more, as the collection of Erhard Schon woodcuts at the top of this page illustrates in the depiction of a drummer, halberdier, arquebusier, light cavalryman and officer. 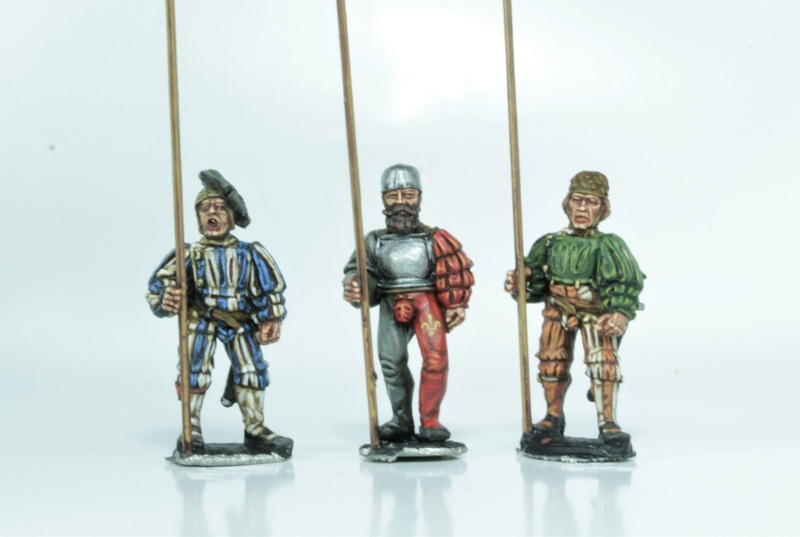 All of these were usually experienced soldiers and were paid at least double, if you reflect this in your painting these troops will stand out as different – just as they’re meant to be. Most rank and file soldiers are usually depicted in fairly simple combinations of colour, with one colour predominant or a simple two tone variation. 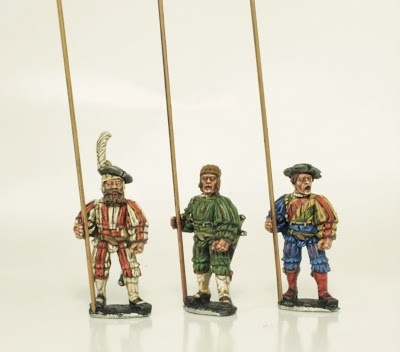 To complement these simple palettes you could then add further detail in a different colour to the hats, ribbons and inner slashing. You can then start to experiment with stripes on a leg, arm, one side of the body or the entire figure. 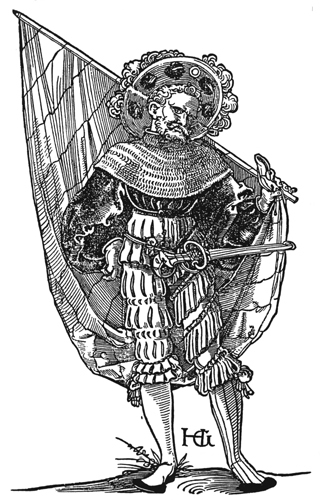 Another fun study is to try emulating a woodcut which can be quite fun though it is rare to find a figure sculpted as a facsimile of a woodcut, there's more on this in the Erhard Schon Case Study post. 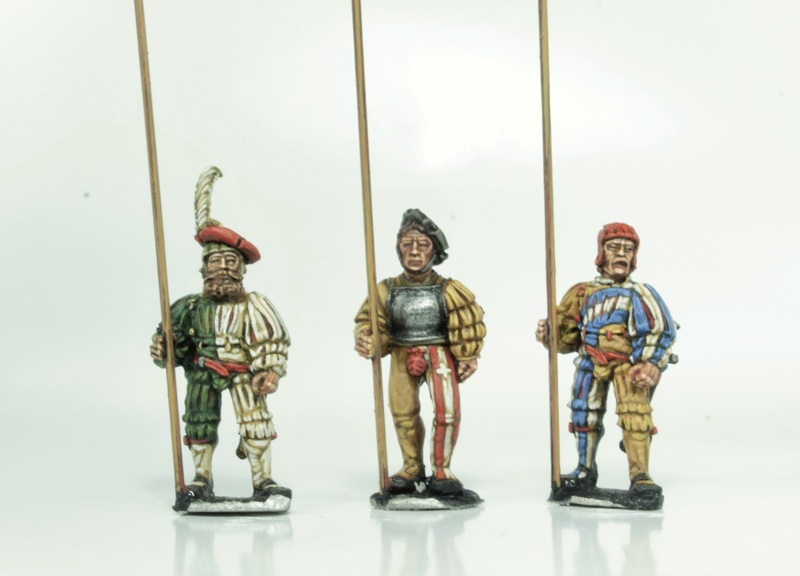 As these examples show, less really is more ! 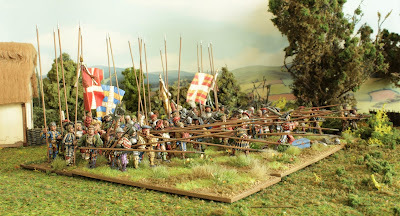 You can stop there and leave it at that, in fact make sure you do so for a few of your men. 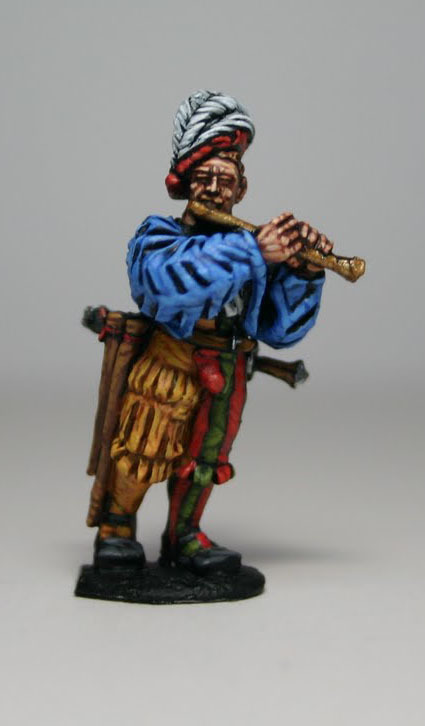 Using this method here's how I painted the figures above; I started painting the fifer with blue as the anchor and then painted the right leg yellow and the left green and red - all of these colours complement each other independently and as a whole. 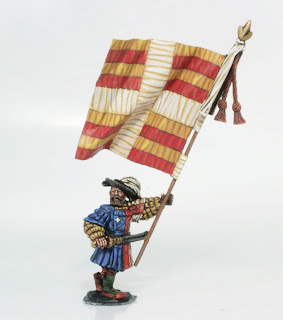 For the halberdier, again I began with blue as the anchor although to a lesser extent as one arm is striped, the remaining colours all complement each other as above. 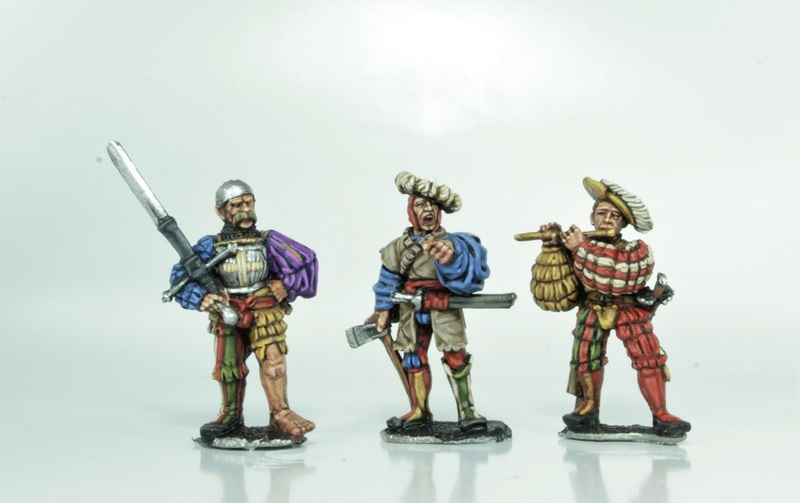 Once you've had some experience and gained confidence with your basic palette you could then introduce muted shades of your base colours and apply the same principles as above. 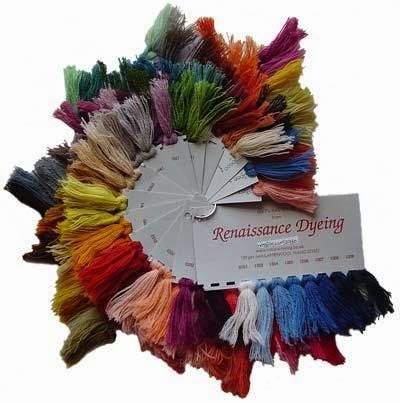 So replace white with an off white or light brown, try a blue grey instead of blue or go the other way and opt for a lighter blue. 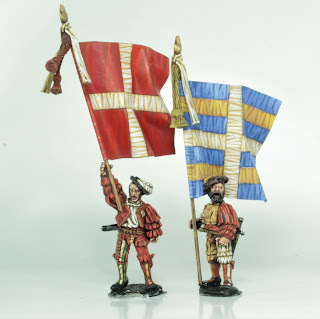 For red and yellow try tans and ochres. 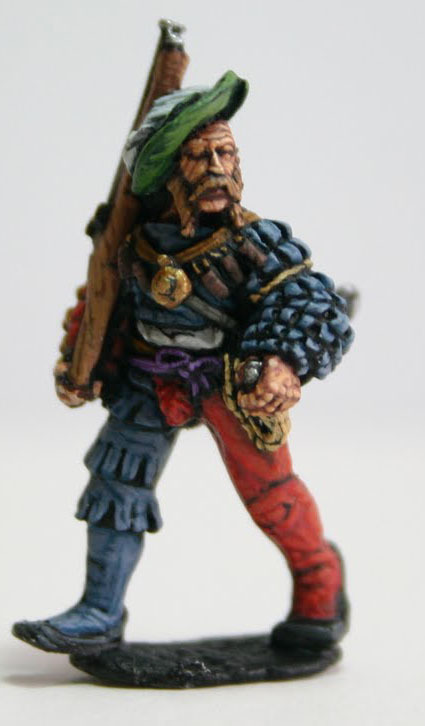 When you're starting just try your new colour on a limb and if you like it you could do a whole outfit. 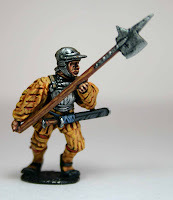 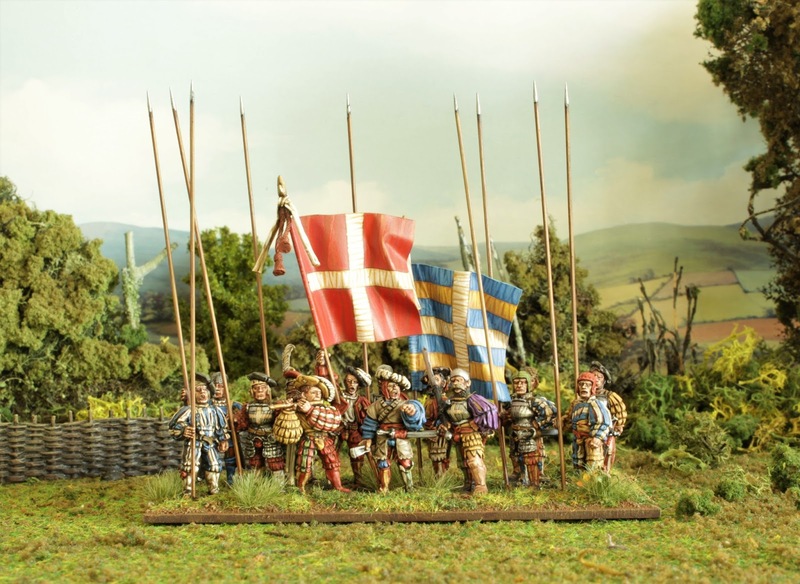 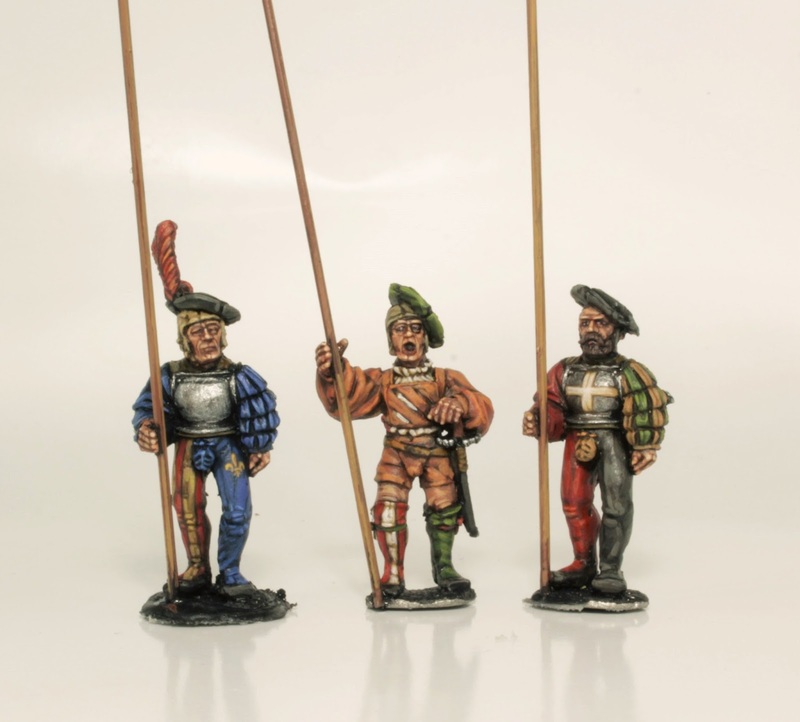 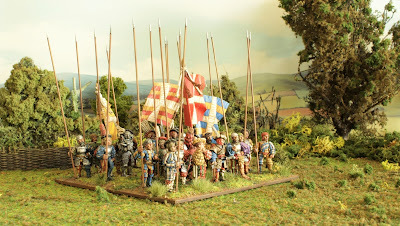 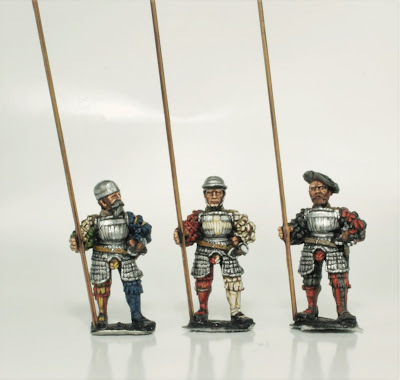 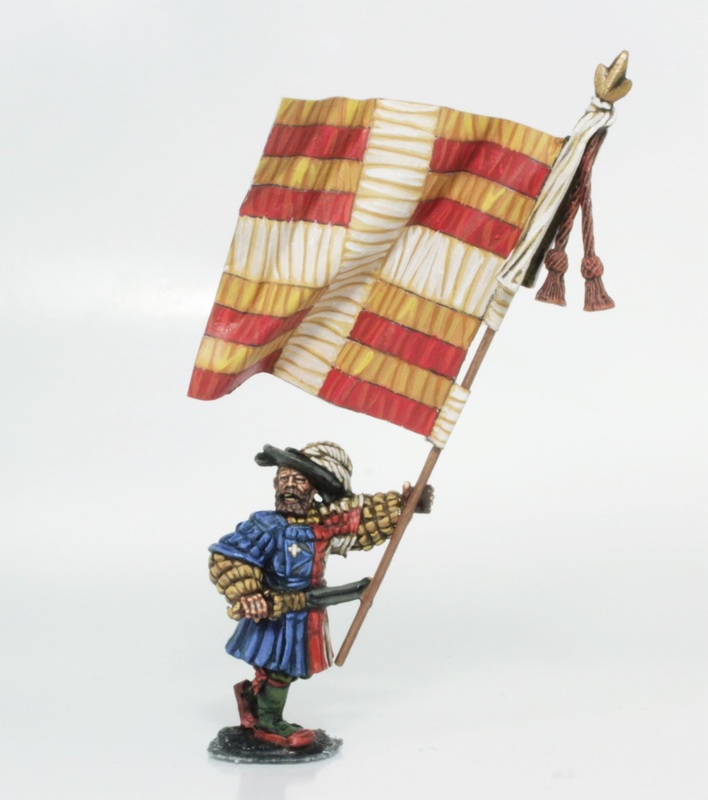 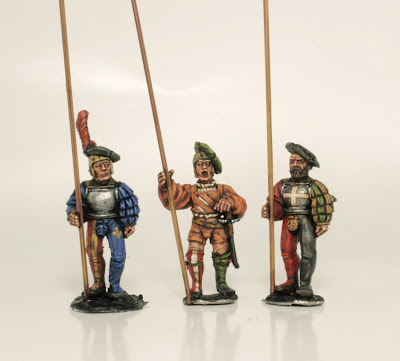 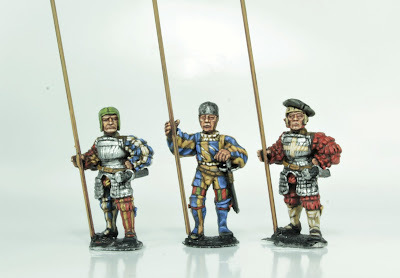 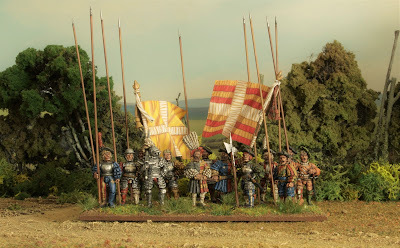 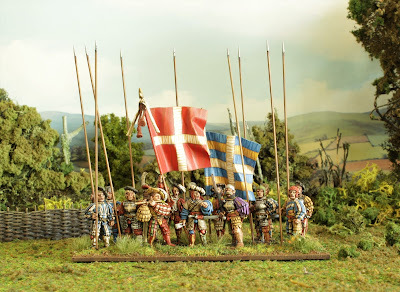 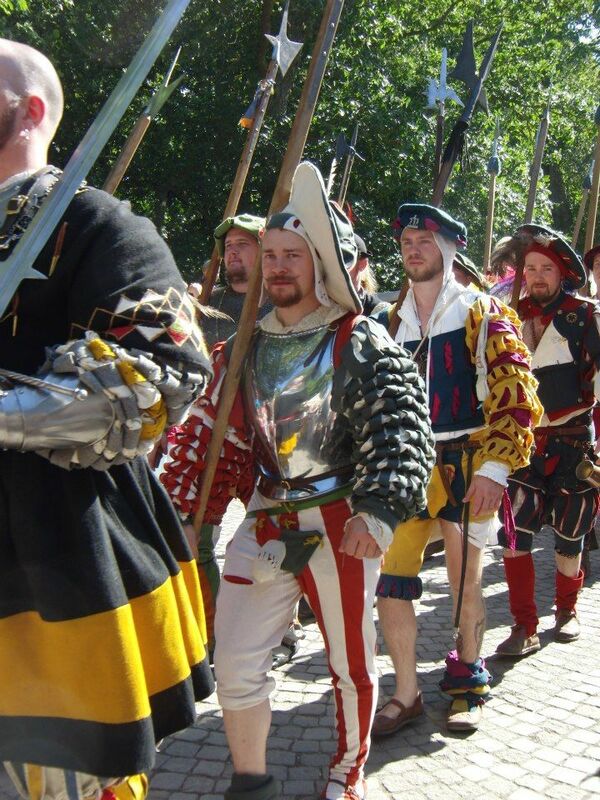 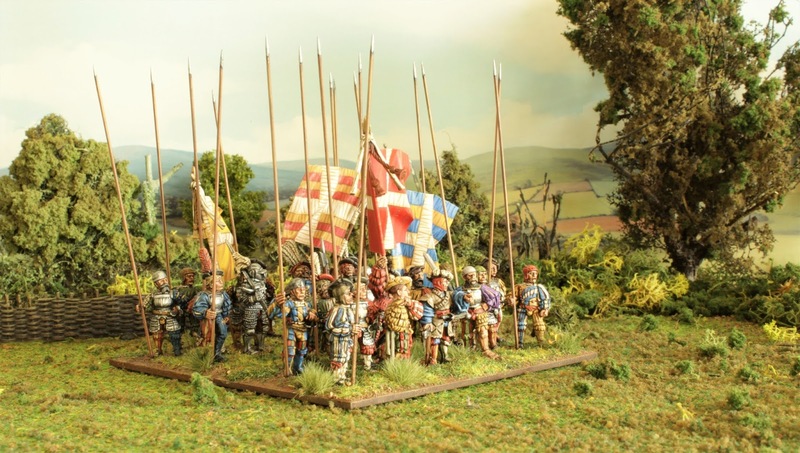 The more variety you try the more 'Landsknecht' your miniatures will look.